http://ralphhoweministries.com/wp-content/uploads/2018/02/maxresdefault.jpg 1080 1920 ralph http://ralphhoweministries.com/wp-content/uploads/2017/08/ralph-howe-ministries1.png ralph2019-03-22 15:05:552019-03-01 15:20:03The Church As It Will Be - Wow! The purity and authenticity of their cultivated spirit influence everything in their path. Their beliefs, identity, behaviour, and relationships blend to project a persona that pricks the spirit in everyone around them. Analysts might say that the job of a revolutionary is to reform the culture, but that confuses purpose and product. These extreme God-lovers reform the culture simply by being true representations of whom God made them to be. They do not create and enforce a carefully plotted and meticulously deployed agenda to reform. They simply live a holy and obedient life that a society suffering from the stronghold of sin cannot ignore. The transformation that follows in their wake is not so much their doing as it is an inevitable result of God’s creatures waking up to the difference between living in the freedom of Christ or in the shackles of Satan. In past spiritual awakenings, dynamic preachers went into society to bring people into a local church for further development. This era of spiritual growth is different. It features millions of individuals quietly using the weapons of faith and the gifts of the Holy Spirit that God has given them to be scions of transformation within the framework of their typical space and connections. The starting point is internal, not external: their message is their own transformation by Christ, made real by their words and deeds. Rather than draw people out of the world, and into a relationship with an institution, revolutionaries demonstrate what it means to bring the presence of God to wherever they are. This a broad-based grassroots awakening that has no single leader and no headquarters. The declaration of purpose is more than two thousand years old: the Bible. In the great awakenings of the past, the pattern was always the same: draw people into the local church for teaching and other experiences. In this new movement of the Spirit, the approach is the opposite: it entails drawing people away from reliance upon a local church into a deeper connection with and reliance upon God. In other words, past awakenings and revivals were outside-inside phenomena, in which the dynamic and evangelistically gifted Spurgeons, Finneys, Wesleys, and Whitefields of the Church brought non-christian people inside the local church to be ministered to. This edition is predominantly an outside-outside experience, where believers see the world as their church grounds and every human being they encounter as a soul to love into the permanent presence and experience of God. Many of these revolutionaries are active members of a local church, but their primary ministry effect is not within the congregational framework but in the raw world. So, what we believe drives what we do. What we believe matters to God – which is why so much of the Bible painstakingly explains God and His Kingdom to us. The revolution fosters a stunningly diverse array of activities that work together to produce spiritual and behavioural transformation which then changes their community and eventually the world. This is a great time to be alive – especially for those who love Jesus Christ. The opportunities to minister are unparalleled: the million of searching hearts and agonized souls, combined with the abundance of resources Christians have at their disposal, make this a very special era for the Church. Throw in the rapid and profound cultural changes occurring, as well as the struggles local churches are undergoing, and we have an environment in which the birth of a spiritual revolution is inevitable. The confluence of those elements demands a dramatic response, and the emerging revolution represents such a historic thrust. There can be no turning back at this point, no return to the old ways and the comfortable forms. 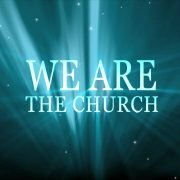 Although we cannot accurately predict what the Church will look like twenty years hence, we can be confident that it will be more different from than similar to the Church at the start of the twenty-first century. The revolution is an extensive grassroots response to the undeniable and insatiable human longing for a genuine relationship with God our Father. The transformations it introduces are sometimes difficult to accept and oftentimes inefficient in their development, but the outgrowth is a stronger and more irresistible Church. As you seek to comprehend the emerging revolution an describe it to others, keep in mind its central facets. It is comprised of a demographically diverse group of people who are determined to let nothing stand in the way of an authentic and genuine experience with God. They are involved in a variety of activities and connections designed to satisfy a spiritual focus. They are God-lovers and joyfully obedient servants. They are willing to do whatever it takes to draw closer to God, to bond with Him, and to bring Him glory and pleasure. If that can be accomplished through existing structures and processes, they accept that; if not, they will blaze new trails to facilitate such a Spirit-driven life. En route to this intimacy with God, they are integrating the seven spiritual passions of a true revolutionary Christian into their lives. Their daily expressions of worship refine their sense of beauty, the creativity, and the majesty of God. Their joy at knowing Him naturally provides the impetus to communicate to others the Goos News about Jesus’ sacrifice and offer of salvation. Their infatuation with the Kingdom fuels their consistent effort to know more about God’s ways. 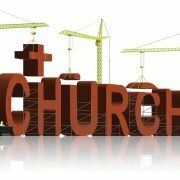 They respond to His love by seeking ways to invest the resources they control of influence for Kingdom outcomes. Their friendships hinge on spiritual growth. They pursue opportunities to use their abilities to affect the quality of life in the world. And they recognize that their most important relationships is within their family and that Christ must be the centrepiece of their experiences together. These passions enable revolutionaries to remain centered on God in a world of distractions and seductions. Their attention to these passions allows them to be the Church. At what stage, or under what conditions, is the revolution successful? Revolutionaries recognize that spiritual success is more about surrender than results. They know that God examines the fruit of someone’s livfe, but the real fruit of the Kingdom is flat-out, no-excuses obedience to God. Such submission produces a perpetual string of behaviours and outcomes that may be imperceptible to a frenetic and hardhearted world, but represent major victories within the Kingdom. Why? Because life is war, and every time a soldier willingly engages in sacrificial battle for the King, His honour is advanced. Revolutionaries’ complete and total surrender to Him and His cause is the essence of eternal victory. It is this holistic devotion to being Christlike that triggers the transformational legacy of the revolution. First, revolutionaries are changed so profoundly that they see life through na completely different lens. Then, armed with that new perspective and the courage to respond, these individuals set about transforming then world by being relics of Jesus in every space their inhabit. There are five reactions to the revolution…. The first, and at this moment the largest, is those who are completely ignorant of the revolution’s existence and emergence. As word gets out and the revolution expands in numbers and influence, this segment will shrink considerably. A third group is the coexister segment. These are Christians who have adopted a “let them be” attitude, refusing to judge the spiritual journey of others. Often these people search for ways to have a peaceful relationship with revolutionaries and attempt to build bridges that facilitate continued harmony within the body of Christ. Most coexists have little interest in becoming revolutionaries, but they are willing to embrace them as brothers and sisters in Christ. Some of them will eventually join forces with the revolution. A fourth category is the late adopters. As in any situation where significant innovation is introduced, these people are nervously waiting on the sidelines for the transitions to become mainstream so it is safe to get on board. Because believers have a huge degree of confusion about life purpose and spiritual meaning and a latent desire to clarify such matters, this group will become a major feeder for the revolution as time progresses. This group disdains risk. They will cast their lot with the revolution once it seems socially acceptable and culturally unremarkable to do so. Whether their timidity will effectively remove the cutting edge of the revolution or whether these pliable saints will be spiritually energized by the passion and focus of the revolution remains to be seen. The final category, of course, is the revolutionaries. Millions of them attend church, and millions of others do not. But they all love Jesus Christ and are devoted to Him as their Lord and Saviour. Knowing that they can be more effective lovers of God by recasting themselves as humble, single-minded servants, they are committed to the revolution for the duration of the battle, willing to endure the criticism of fellow believers so that they can be the Church in the best way that they know how. They are not so much interested in converting their distractors to be revolutionaries as they are determined to honour God through their purity and passion for Him. The agents of transformation that we are calling revolutionaries realize that the only way to silence their critics is to be Christlike at all times. Even that did not stop Jesus’ critics, and many revolutionaries are resigned to the fact that perpetual criticism from Christians is simply an unfortunate and unjust price they will pay for loving and serving God with all their heart, mind, strength, and soul. Someday, they know, they will stand before the only true Judge and will be made whole by the One who reconciles everyone’s accounts.